Founded in 2011 by surfers and writers Chris Nelson and Demi Taylor, London Surf / Film Festival is an annual celebration of the cream of international surf culture. 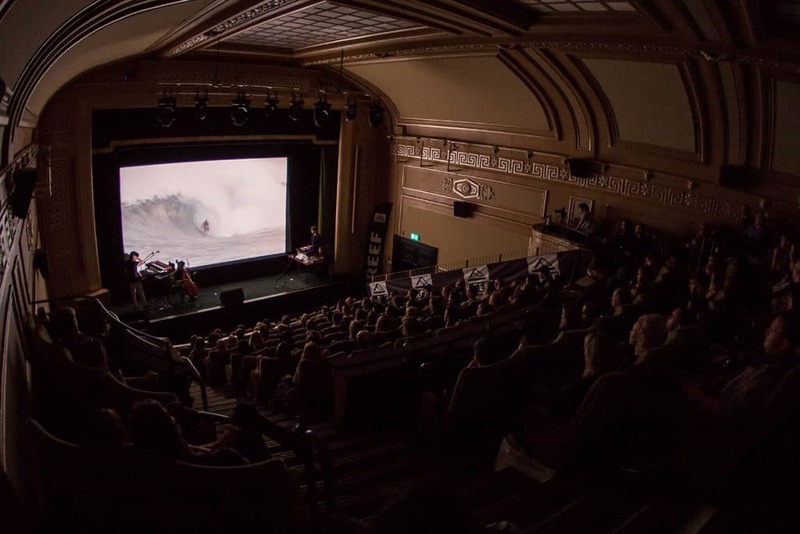 The 8th Edition London Surf / Film Festival x Reef hit the capital October 2018 – hosted 10 – 13 October Regent Street Cinema plus a week of pop up events. Bringing to the UK a showcase of international surfing’s hottest releases – documentaries to inspire, travelogues to stir up the wanderlust, cutting edge action to blow minds and cinematography to mesmerise – London Surf / Film Festival is a celebration of the cream of international surf culture. Alongside a line up of premieres, award winning features and underground hits, we are curating a packed programme of happenings around the festival including the ever popular ‘Audiences With’ – insight from waveriding’s most inspiring heroes and icons. Set against a backdrop of art, talks, music, gallery shows, workshops, community and more this saline hit of inspiration is an essential cultural happening for anyone of a salt water persuasion. London Surf / Film Festival is an Approaching Lines production. Sign up to our LS/FF newsletter HERE for a monthly dose of saline inspiration and all the latest information on our happenings, talks, screenings and events.